Earlier this week on a flight from Australia to India, passengers were horrified to hear and see an inebriated Kapil Sharma loudly abusing and assaulting his The Kapil Sharma Show colleague Sunil Grover. According to members of show's team, tension between the two has been brewing for quite some time. Sunil’s ‘Gutthi’ act in Comedy Nights With Kapil and after the show’s closure, his ‘Rinku Bhabhi’ and ‘Dr Mashoor Gulati’ acts in The Kapil Sharma Show are as popular as Kapil’s own comic acts, if not more. Kapil takes every opportunity he gets to remind Sunil that he, Sunil, would have been nowhere if Kapil had not given him a platform. 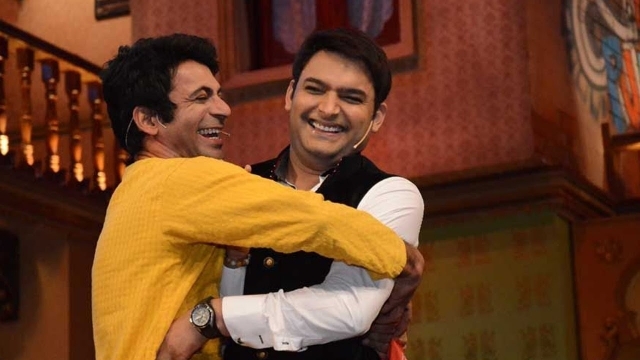 Now after this assault when Kapil allegedly in a drunken state, humiliated and assaulted Sunil Grover in full public view,Sunil has decided to quit the show. Sources from the show say, “Sunil is not coming back on The Kapil Sharma Show. Sources say that Kapil’s behaviour in recent months has gone from bad to worse. According to sources, Kapil’s excessive drinking is the source of his ill temper and boorish behaviour. “Kapil is not a bad soul. But once he downs a few pegs he forgets who he is and starts reminding everyone around him how insignificant they are as compared with him,” says a source.